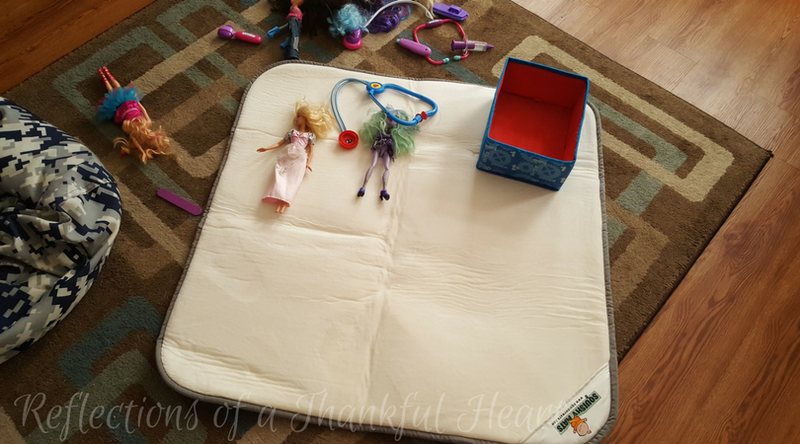 Squishy Mats Review by Crystal Porter | Squishy Mats Are For Everyone! I intended for this Squishy Mat to be for our dog! That was until....it arrived and I saw how awesome it is! We went out and bought Pumpkin (our dog) a new bed and I'm using my new Squishy Mat for the kids that I babysit to use to play on! I babysit a 6 month old and a 2 year old. The squishy mat is perfect for play time! The Squishy Mat is so soft! The memory foam gives it the needed padding on hardwood floors! On one side there is a nonslip rubber grip that keeps the mat from sliding around on the floor and the other side is the soft, fuzzy feeling side for the kiddos to use! You can buy the mat in three different sizes. I received the 3'x3' and I absolutely love it! 6x32" The Skinny Mini - perfect for little dogs with big personalities and a nice way to protect "their" spot on the couch from hair - folds and fastens with a carrying handle. 4x4' Big Squishy - Let's face the dog is just gonna steal the Squishy Mat from you and your little one. 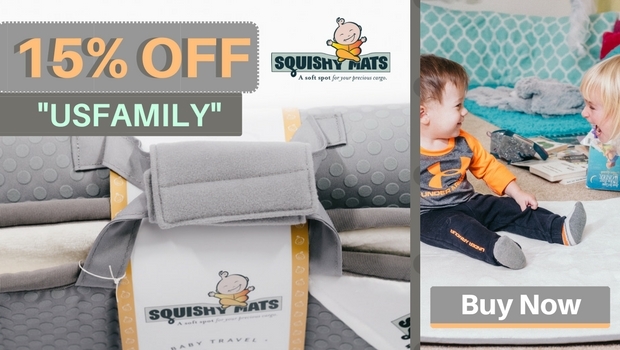 The Big Squishy is truly made with everyone in mind, but buy Scooby his own mat and be sure to pick one up for yourself - folds and fastens with a carrying handle. I can't wait to order a couple more of these Squishy Mats! They have so many uses and have a great quality! Disclaimer: This is a sponsored post for US Family Guide and Squishy Mats. I received free product in exchange for my review. All opinions are 100% my own.